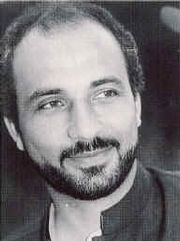 Secretary of State Hillary Clinton has recently issued orders that appear to end the exclusion from the United States of Professor Tariq Ramadan, on whose behalf the AAR has long been involved in a lawsuit. The AAR joined the ACLU-filed lawsuit against the United States government because of its denial of visas to Ramadan, a prominent scholar of Islam. AAR involvement arose from the government preventing his attendance at the 2004 AAR Annual Meeting in San Antonio, Texas, where he was to make a plenary address. Not until 2009 was Ramadan finally able to attend an AAR Annual Meeting — but only because the meeting took place outside the United States. I am very pleased with the decision to end my exclusion from the United States after almost six years . . . . I want to thank all the institutions and individuals who have supported me and worked to end unconstitutional ideological exclusion over the years. I am very happy and hopeful that I will be able to visit the United States very soon and to once again engage in an open, critical, and constructive dialogue with American scholars and intellectuals. Although Ramadan must reapply for a visa, approval seems likely, given that the government has stated it will not now deny Ramadan a visa on the same grounds it has before. Many observers remain concerned, however, that although Secretary of State Clinton’s orders address the particular situations of Ramadan and another scholar, they do not seem to address the larger concern that other scholars may be denied entry into the United States for what many observers consider to be ideological reasons.